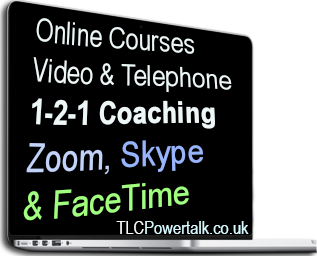 One to one Communication Training is delivered in-house at your venue. This is an all-in-one professional and personal development toolkit for the enhancement of Communication Skills, Interpersonal Skills and Public Speaking. The session is totally bespoke and as well as the stated content, can be tailored to suit peronal requirements. This holistic program is suitable for an individual over an intensive full day session, or two people sharing the day in two individual sessions. Privacy: Each Powertalk session is confidential, as is any data, which may be witnessed or discussed whilst working with the engaging company or client. "At Henley, excellence in teaching is one of the key performance indicators. We used Terry on a number of occasions to help faculty with presentation techniques.Terry's intervention always paid off and faculty’s teaching score showed consistent improvement." "Having spent a day with Terry, I learnt some fantastic techniques on communication, relaxation, vocal tone exercises and a whole lot more. I opted for a one to one session which was great for me and we were able to get into the heart of the issues I wanted to address. Terry is a breath of fresh air and is at the top of my list for any follow up sessions."